Everyone always desires to look good and attractive everywhere they go. Looking good and charming could be beneficial in different ways as people would want to mingle more with you. Furthermore, looking pleasant and beautiful goes a long way in improving one’s self-esteem and confidence. It ensures they have the confidence to associate and socialize with others. There are various parts of the body that can enhance our look and appearance – the hair, for example, can be cut and styled in beautiful ways, and once this is done, one’s look and facial appearance is enhanced. The older a person gets, he/she begins to notice the hair getting thinner by the day. This could be quite challenging as thin hair could pose some challenges and issues. Though having thin hair is challenging, it comes with its own benefits. By making use of styling aids and right hair care products, thin hair can be styled easily and held in place for a whole day. While some people are born with thin hair, others develop it gradually over the course of their lifetime. Irrespective of how one grows thin hair, styling aids, and right care products can make the hair styled in lovely and enchanting ways. Furthermore, these products can make the hair thick and add volume while reducing the scalp’s visibility. The primary focus of this article is about some of the best styling products for thin hair men that can be used to style fine and thin hair. The most important things needed for a styling product for thin hair are nutrition and volumizing. The volumizing aspect is a styling product that provides thicker hair lift at follicles. It would separate individual strands of hair and add density to the strands. It is best for persons with thin hair to make use of styling products that would also protect the fragile follicles from more damage. Man Made Clay by 18.21 is very lovely and wonderful. It is a hair styling product that nourishes and thickens the hair. This styling product provides a firm hold with the right level of flexibility that would last for a whole day. The product which is made by mixing bentonite (clay) and beeswax coats the strands of hair and makes them thick as it would provide a volumizing effect and making the hair physically thick. 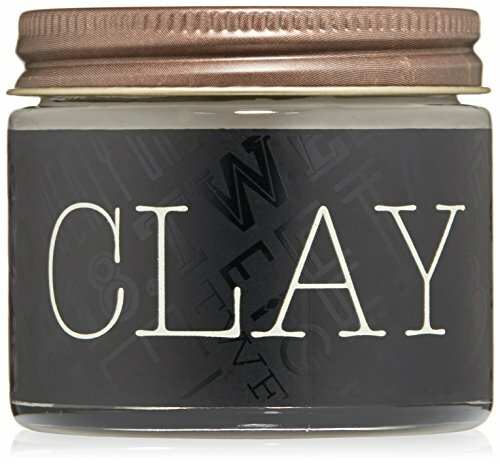 Man Made Clay by 18.21 is therapeutic for the follicle and hair as it keeps moisture and repairs damage. The hair product is created with various natural ingredients. It is also free of paraben. Another kind of hair clay is the Baxter’s of California Clay Pomade. However, the Man Made Clay is a better choice and is available on Amazon. Click here to see the pricing, and reviews on Amazon. This styling product is highly loved and cherished. It is a product that is primarily made for beautiful and thin hair. The product does everything that one needs regarding styling his hair as it provides strength with the flexibility that lasts for a whole day. For those looking for a firm hold that would make the hair stand straight up and down, this product is probably not the one to use. However, for those seeking for an average product that allows a more natural style, the product is the perfect and ideal one. Kerastase Densifique Bauma Densite Homme is also excellent and perfect for shorter cuts. The styling product is formulated for fine and thin hairs. Hence, the paste is mixed and supplemented with vitamins such as Biotin and amino acids to help nourish the hair. The paste’s material can provide volumizing effect as it thickens the hair strands and makes it look fuller. Though the product would not make the hair fuller up to the extent of hair clay, it is still a great choice for what is wanted. Kerastase has various wonderful products for fine and thin hairs. This is another reason why the product is making the list of the best styling products for thin hair men. When the product is used alongside shampoos, serums, and conditioners, it would be more efficient. 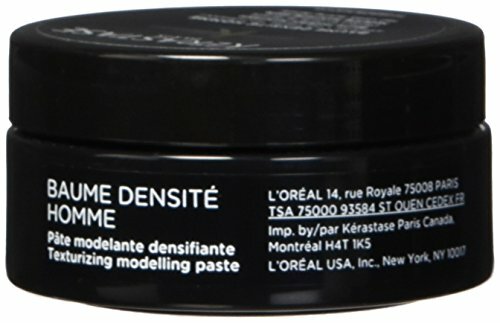 Kerastase Densifique Bauma Densite Homme is available on Amazon. PhytoWorx is another highly efficacious hair styling product for men. This blend of PhytoWorx plant stem cells plays a significant role in helping your hair to re-grow. It integrates essential oils and stems to add a level of improvement to your hair and prevent falling of hairs. One advantage of this hair product is that it is sulfate-free. It’s made in the United States of America and contains no SLS or other chemicals that are harsh on the hair or skin. With this product, you only need to use it for the first time and start noticing a thickening of the hair. This is why you can use it with confidence without fear of damage to your precious hair. Our verdict: This product has worked for a lot of users and 77% of the over 1,400 people who have reviewed it awarded it a 5 star out of 5. We highly recommend it especially for its natural ingredients that are both friendly to your hairs and skin. 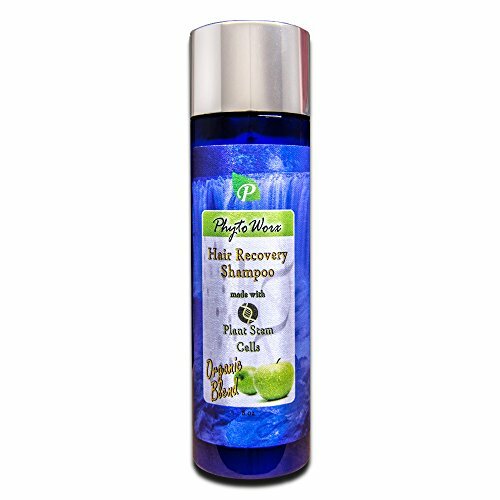 This product with natural ingredients is one of the best hair treatments for men experiencing thin hair or hair loss. 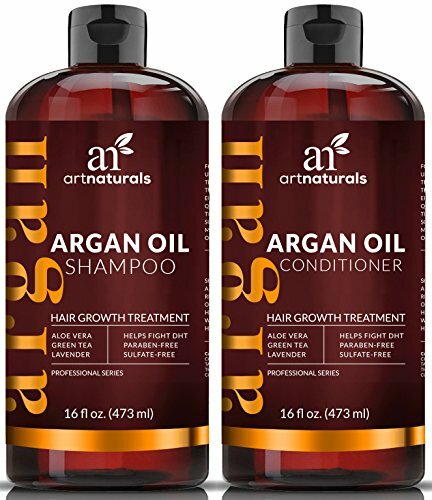 ArtNaturals Moroccan Argan Oil Hair Loss Shampoo contains caffeine, Aloe Vera, argan oil, algae, kelp extracts and green tea, which all combine to boost hair regrowth and sheen. Apart from making thin hair fuller, it also helps to prevent the hair from falling out of place. A particular cause of hair loss is the DHT hormone. The hormone restricts the supply of blood to hair follicles, thereby causing strands to fall out. It also strengthens proteins and antioxidants. The shampoo contains blockers of DHT that helps to promote healthy hair growth. Our verdict: This product really works in combating thin hairs. We recommend it due to its capacity to add style to your thin hair and make you look smarter and without severe worries regarding the condition of your hair. The cream performs wonders on thin hair as it deposits thickening and flexible dots on every strand of hair. This helps to increase the weight and diameter of the hair, thereby leaving one with thicker and higher volume of hair. It is available on Amazon and has an average star rating of 4.2 and about 467 customer reviews, as at the time of writing this post. Our verdict: This product is tested and really works wonders. We recommend it to you if your dream is to have a fuller or more voluminous hair. 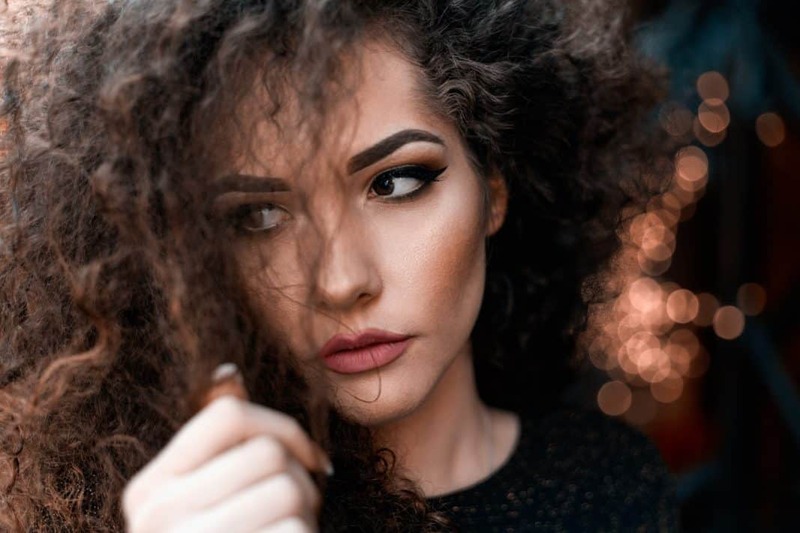 Though thin hair could be challenging and could even lower your self-esteem, with the treatments we have listed above, you can conveniently take care of your hair and make the volume and thickness return in no time. Don’t fold your arms while your precious hairs gradually disappear. Take action now and stop the loss with these styling products. But if your condition fails to improve, then it’s time to see a doctor for further investigation.